Obituary – Marshall, JoAnn (Meshek) « Perry High School Alumni Association, Inc. Band 50-54; National Junior Honor Society 50-51; Treasurer of Ninth Grade Class 50-51; Football Queen Attendant 51-52; Basketball Queen Attendant 51-52; Secretary of Junior Class 52-53; Band Queen Business Manager 52-53; Junior Play 52-53; Class Assemblies 50-54. 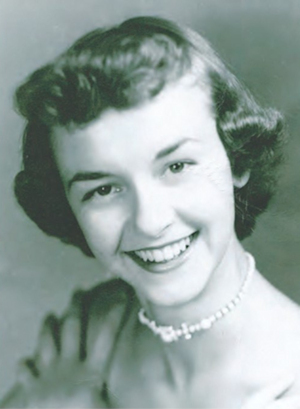 JoAnn (Meshek) Marshall, 82, gained her angel wings on May 16th. She was born November 10th, 1935, to Charles and Geraldine Meshek. JoAnn was raised in Perry, Oklahoma, where she met her loving husband, Armon Lesh Marshall. They moved to OKC where they raised four children and resided the rest of their lives excluding a short time in Ankeny, Iowa. Her life work was managing a loving household. She worked part-time at a Christian phonebook directory and as a bookkeeper for a friend’s grocery store. JoAnn was a talented painter and piano player. She was the VBS pianist at Cherokee Hills Christian Church where she, Armon, and their children were members. 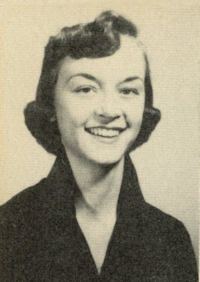 Her favorite hobbies were Bridge, crochet, needlepoint, video games, and puzzles of all kinds. JoAnn is survived by her husband of 65 years, Armon Lesh Marshall; children, Mark Marshall (Susie), Sally Smith (Vern-deceased), Susan Miller, and Mike Marshall (Kim); grandchildren Brittney (Josh Barnette), Taylor Marshall, Amber (Kevin Wright), Shay Smith (Shareen), Jacob Smith, Savannah Smith, Colby Miller, Cailey Miller, Ceaton Miller, and Sydnee Marshall; five great grandchildren, and a host of extended family and friends. A Celebration of Life will be held June 8, 2018, 2:00, at Church of the Savior, 5600 NW 63rd, Warr Acres, OK. JoAnn will be buried at Grace Hill Cemetery, Perry, OK.